J.G. 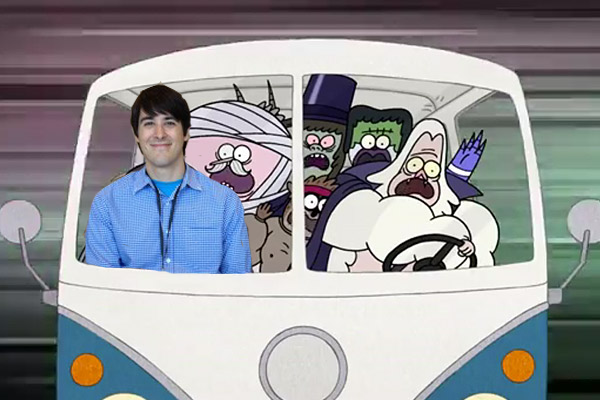 Quintel is the creator of the Emmy winning Cartoon Network series, Regular Show, which is currently in it’s third season. 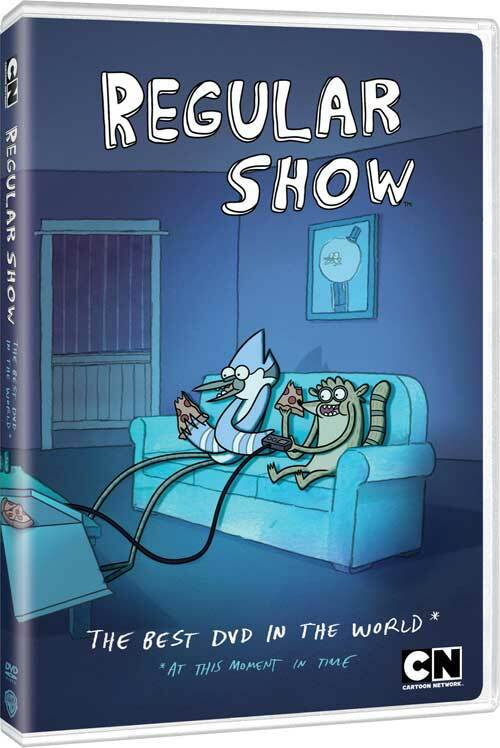 Regular Show revolves around the lives and adventures of friends Mordecai, a blue jay and Rigby, a raccoon, who work as park groundskeepers. Forces of Geek had the opportunity to chat with J.G. about the series just as the second volume of the show, “The Best DVD In The World* (*At This Time)” arrived on DVD. So, we’re gonna actually be extremely current and start with a Twitter post of yours from an hour ago. You posted, “Watching cartoons makes you smarter. Well, certain ones anyway.” All right, what cartoons make you smarter and why? Well, I mean, The Simpsons makes you smarter. I grew up watching The Simpsons and that is some really well-written stuff. I think—let’s see, what else? I can’t say Regular Show ’cause that’s gonna make me sound full of myself. Well, we’ll assume the Regular Show, obviously. Well, thanks. Let’s see. What are some other shows that I really like watching? I remember watching Rocko’s Modern Life a lot as a kid. I felt like that was, like, more engaging than your typical animated fare of the day. I really like Futurama. Let’s see. Ah, there’s too many. OK. And why do they make you smarter, do you think? Well, I think they make you look at life in a certain way. I mean, it’s funny when it’s drawn and they’re making this commentary on the way people are. It’s easier to kind of dilute it into this moment where you couldn’t really get away with it in real life with real people. With animation, you can do anything ’cause the person isn’t actually gonna get hurt and there’s no concern for budgets or anything like that. It’s infinite. You could do anything and it’s really cool to see what people come up with. We’re you always interested in animation? 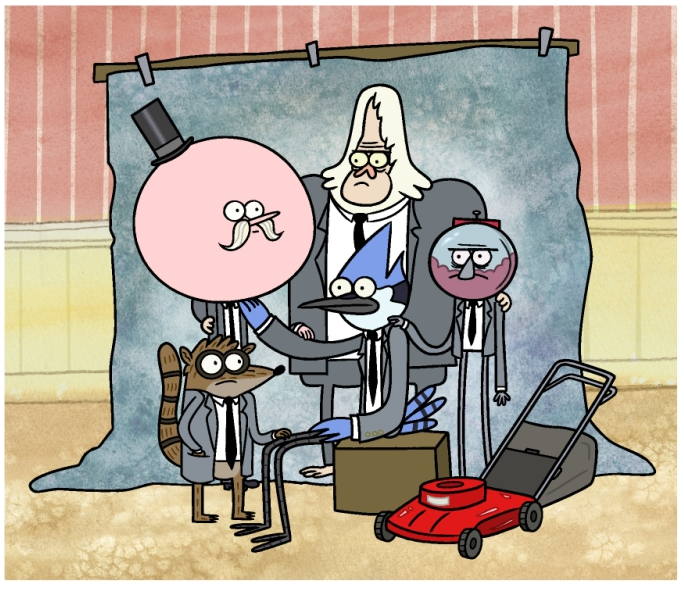 The Regular Show is fairly grounded in reality despite the fact that the main characters are a blue jay and raccoon, but both Mordecai and Rigby are 23-year-old groundskeepers. And how much of who they are is autobiographical? Well, I would say that a lot of it has to do with my college days, pretty much me and my friends from college. Like the “Ohhh” and the “Hmm-hmm, hmm-hmm, hmm,” that was all stuff from friends of mine in college. As far as working crappy jobs, I mean, I’ve done that several times. I used to work at a movie theater, I used to work at a bookstore shelving books in the back—I mean, just really mundane things where you try to find other things to do ’cause the job itself is pretty easy and then you’ve got, like, spare time where you’re bored and you’re just kinda slacking off all the time. Now, it seems like since you graduated from CalArts, you’ve pretty much worked exclusively for Cartoon Network. You did Clone Wars, Lazlo, Flapjack. Was the Regular Show the first thing that you pitched? When I interned on Clone Wars, like, that kinda my first time to pitch something that I wanted. It was a creative internship, so I ended up,besides making coffees and getting coffees, doing a pitch of a storyboard that I made and that was a really cool experience. And then it wasn’t until The Cartoon Institute came along where they—I’d been working on Flapjack for a while at that point and they asked me if I wanted to pitch anything. And so, I kind of came up with Regular Show and pitched that. Well, again, The Simpsons, Rocko’s Modern Life. Live action-wise, in college I was—I had a roommate that was from the U.K. and he exposed me to all this British stuff, a ton of British comedy like League of Gentlemen, Little Britain, IT Crowd. Mighty Boosh was actually a really big influence on me. But all those things kind of combined with American sensibility and then finding this other, darker side with the U.K. stuff, I feel like that’s kinda what Regular Show ended up being. I know you recruit a lot of indie comic artists to work on the show. Are you a fan of comics and what aesthetic were you looking for when you were recruiting people to work with you? The show’s TV-PG. Do you find—are there challenges to make it appeal to an older audience or do you find yourself having to push it to kind of deserve the PG or you have to scale it back to prevent it from being outside of that rating? It’s easier for us to write it for adults ’cause we’re writing it pretty much for ourselves. The dialogue sensibilities all pretty much have regular voices except Pops, but it’s really palatable for adults to listen to and they’re talking how you would talk to your friends if you were in college, not how like little kids would talk to each other. And then as far as getting that TV-PG rating, I mean, we’re pretty close to the edge most of the time. I mean, we get to do a lot of things that other networks don’t get to do and I think it’s just because they’re trying to make shows for really little kids and we’re trying to make shows for everybody. So, using that PG rating to the full extent we’re going for FBI shootouts and clever—I have jokes about Benson’s gumballs and [LAUGHTER] tons of things like that that we try to work it in when we can and make it so that adults can laugh at it with their kids. I’ve been watching a lot of Modern Family lately. It’s so well done and I’m always waiting for it to come out on Hulu. REGULAR SHOW Gets a Slack Pack!